How Can You Tell If A Church Is On Offense Or Defense? Churches on defense talk about the glory days of the past. Churches on offense maintain a strong hope for the future. There are two types of churches. Those on offense and those on defense. In recent years, I’ve been in hundreds of rooms with thousands of pastors from both types of churches. Churches on offense are not different from churches on defense in any external way. They and their pastors struggle with the same challenges of facility, finances and attendance. They’re in rural communities, suburbs and inner cities. They come from all denominational (and nondenominational) traditions. But a room full of pastors on offense is a joyous, hopeful place, while a room full of pastors on defense feels sad and hopeless. The difference is so stark you can almost literally smell it in the air. Churches on defense talk about the glory days of the past. Churches on offense maintain a strong hope for the future. Churches on defense are trying to maintain the status quo. Churches on offense are changing and adapting. Churches on defense allow their traditions to hold them back. 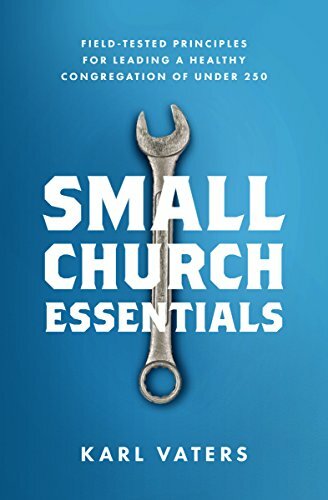 Churches on offense use their traditions as a foundation to build on. Churches on defense allow their traditions to hold them back. Churches on offense use their traditions as a foundation to build on. Churches on defense are willing to compromise their core values for expediency. Churches on offense are willing to change anything but their core values, because the mission is what matters. Churches on defense have a hard time maintaining what they once had. Churches on offense have a hard time making the necessary changes to move forward. Whether on offense or defense, ministry is hard. If ministry is going to be hard, why not choose the hard work of the upward climb instead of the hard work of the downward slide? No church can move upward in ministry if they compromise on biblical truths, run after the latest trend, or insist on maintaining outdated extra-biblical traditions. Upward motion in ministry happens when we recommit to Christ and his mission, whether in a traditional or contemporary setting. Your church doesn’t need a change in your external circumstances to move from defense to offense or from reactive to proactive. You don’t need more money, more people, a cooler stage design or a better building. You need a change of heart, of motivation and of perspective. Then you need to step up and do it.